The fifth archaeological campaign of the “Tyritake” Polish Archaeological Mission of the National Museum in Warsaw took place between 14 July and 22 August 2012. There were 64 campaign members in total. During the mission, work was carried out in the central, western and north-eastern parts of the trench. 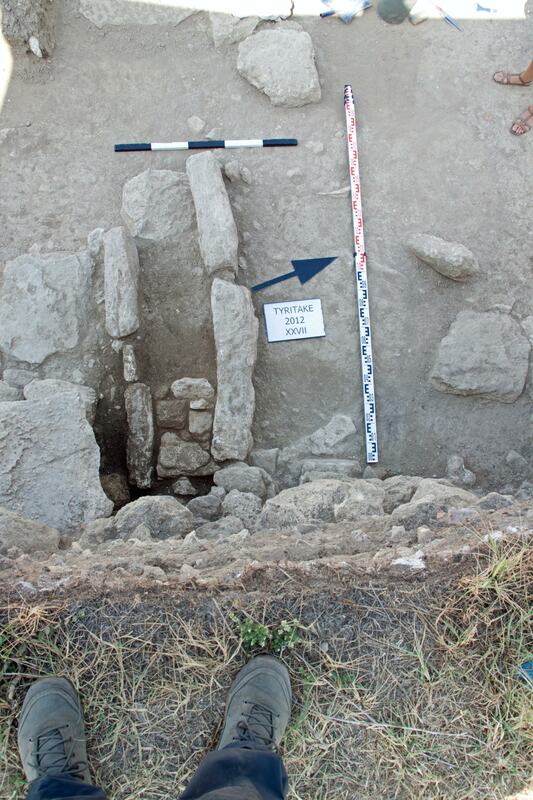 Work in the eastern part focused on further exploration of Archaic structures (second half of the sixth century BC) uncovered the year before. Consequently, it was possible to clean sectors 19 and 20, and delineate the walls of the Archaic structure in this part of the excavations. Research should be continued in the future. In the central part, encompassing ca. 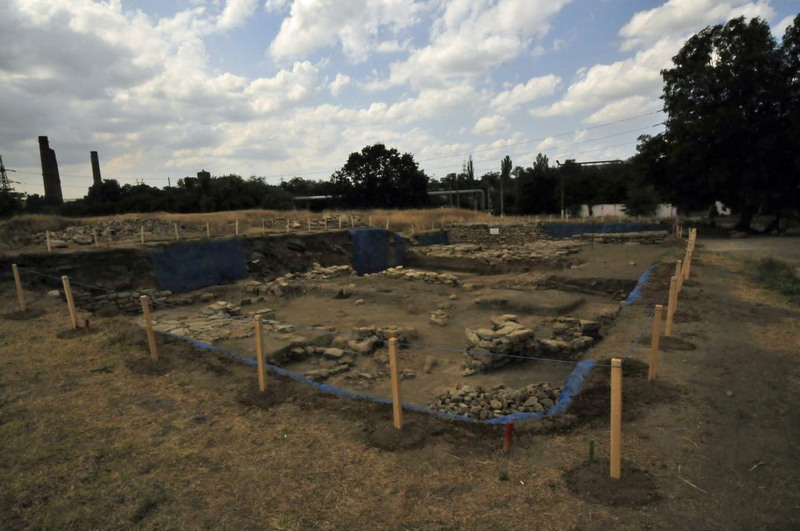 six archaeological sectors (5 × 5 m), exploration of the Classical and Archaic cultural layers began. The level of the first stage of Tyritake’s construction (mid-sixth century BC) was reached in the entire area before the end of the season. 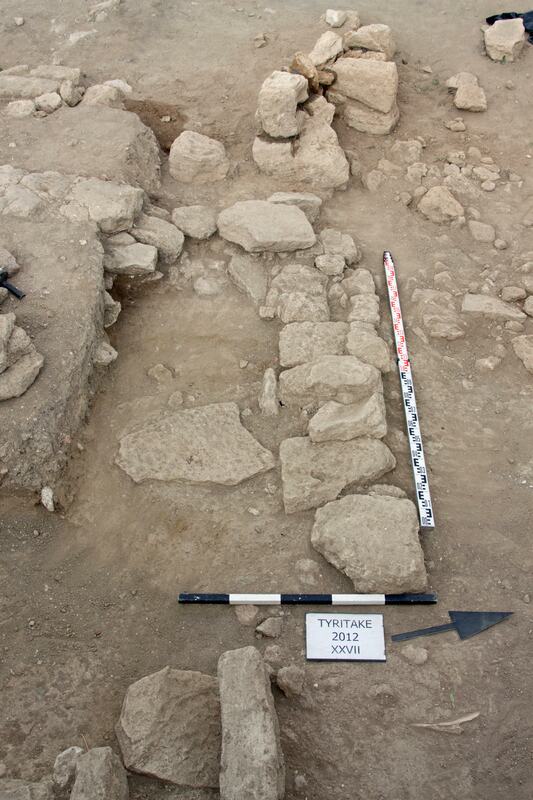 Several structures were also revealed, the most interesting of which was pit 19. 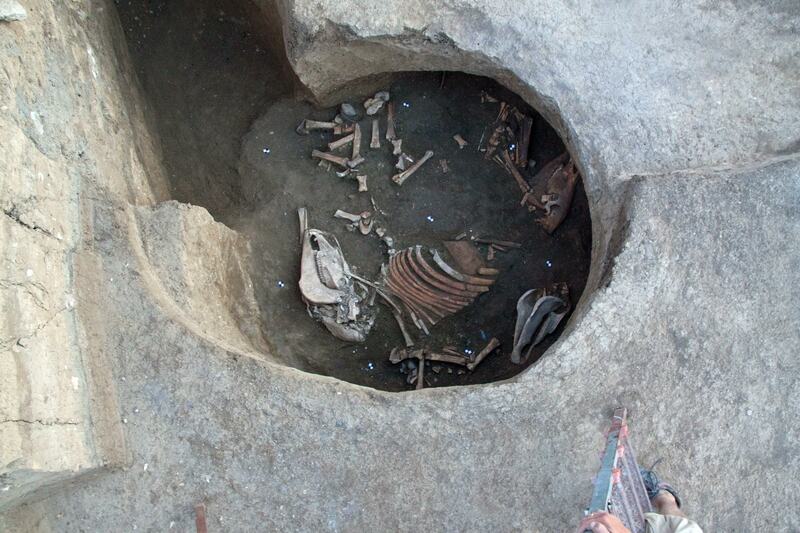 In it, archaeologists found complete skeletons of three horses, placed almost symmetrically, and beautifully preserved Attic black-glazed vessels preliminarily dated to the turn of the fifth century BC. The archaeological context indicates that these might be the remains of a sacrificial religious ceremony. However, the material requires in-depth analysis. Other interesting structures in this section of the excavation unit were the remains of stoves and, most likely, a clay grill, next to which numerous shells of local clams were found. 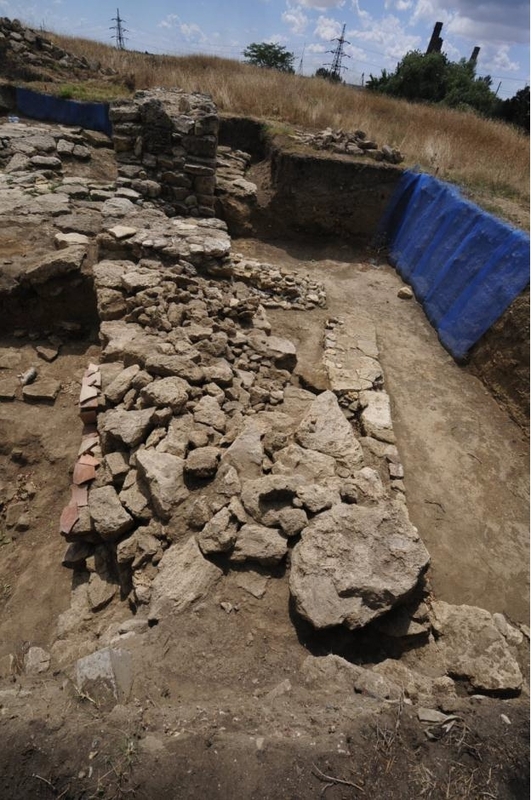 In the north-eastern part, encompassing around seven archaeological sectors, archaeologists uncovered the remains of a canal from the Hellenistic period (fourth to second century BC) which may have also been used later. The context of the find would suggest that a water collector was placed here, to which more than one canal led. In order to verify this hypothesis, the excavation unit would have to be extended to the east – the canal currently enters the eastern wall of the trench. 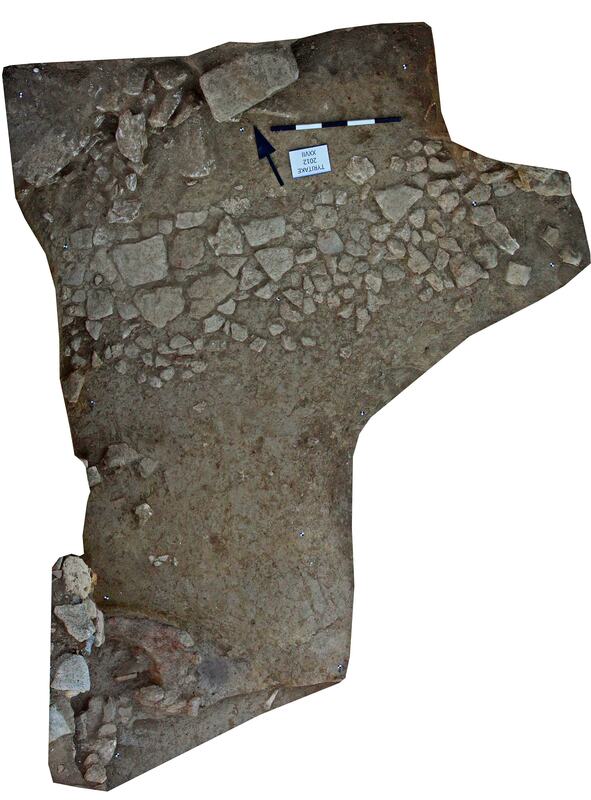 The remains of another stove were revealed nearby, as well as the remnants of unidentified stone structures from the Hellenistic, and perhaps also Classical or even Archaic periods. Any verification of these tentative conclusions would require continued exploration of this part of the trench. This field season yielded 222 discrete artefacts, including six coins, glass and metal objects, and, most importantly, ceramic vessels and objects – such as several well-preserved Attic black-glazed vessels. Another extremely valuable find is a Greek tombstone inscription, preserved almost in full and preliminarily dated between the first and second centuries AD. All finds were handed over to the head of the Ukrainian mission. 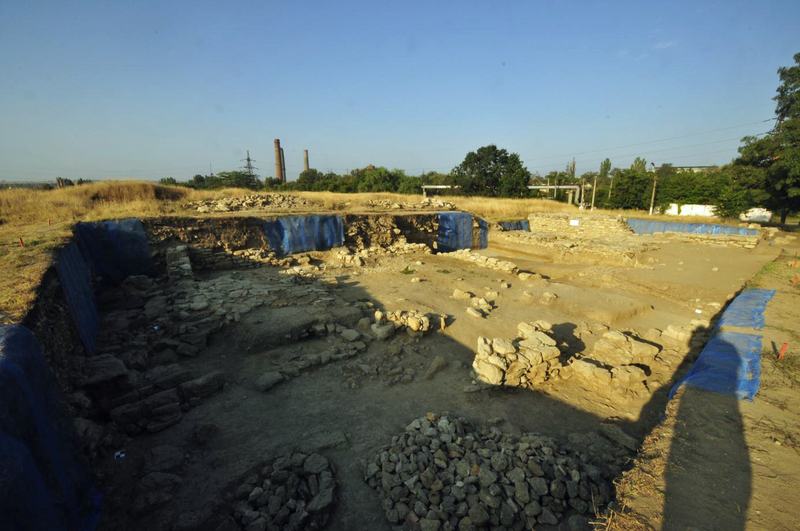 Like each year, the full list of finds with their physical description and archaeological interpretation will be published in the annual excavation report and on the Kerch project website. In the last week of the mission, archaeologists were joined by conservators from the Warsaw University of Technology, acting in Tyritake based on a bilateral agreement between the NMW and the WUT. The conservation mission, composed of 17 members, secured the trench for the winter, clearing the ditch around it and protecting banks against falling or flowing soil by improving last year’s mesh and placing new ones. 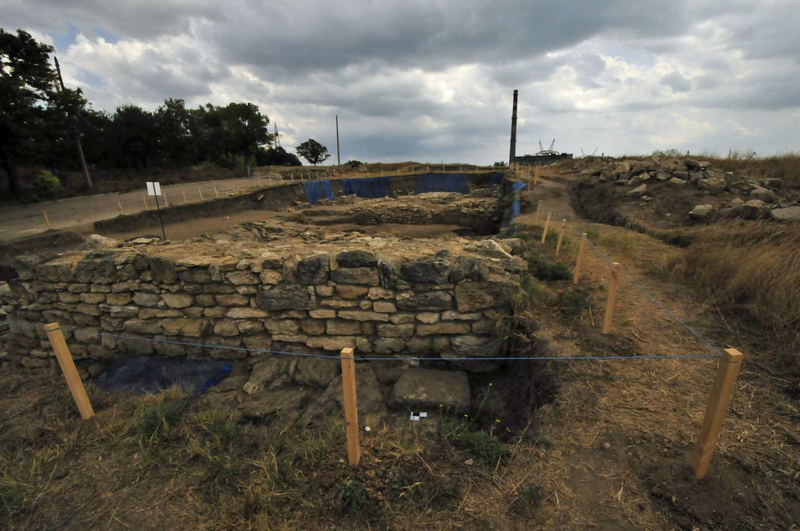 The stone structures unearthed by archaeologists were secured in part by using water repellent preparations, in part by rebuilding external and internal walls using cement clay mortar protecting the structure against water from precipitation. To sum up, it should be stated that this year’s campaign was particularly fruitful. It brought a number of new information about Tyritake’s topography in the Archaic and Classical periods (sixth to fifth century BC). 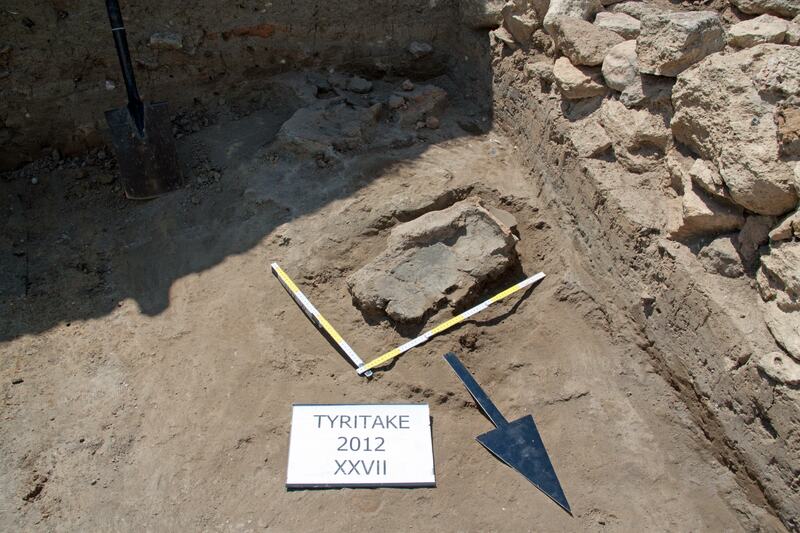 In order to fill in the gaps, the NMW should carry out further excavation work in Tyritake.